Highview Parking’s website says it is has an association with Ranger Services. This would explain why drivers often complain they have sent an appeal to Highview, but get a response back from a different company at a different address. 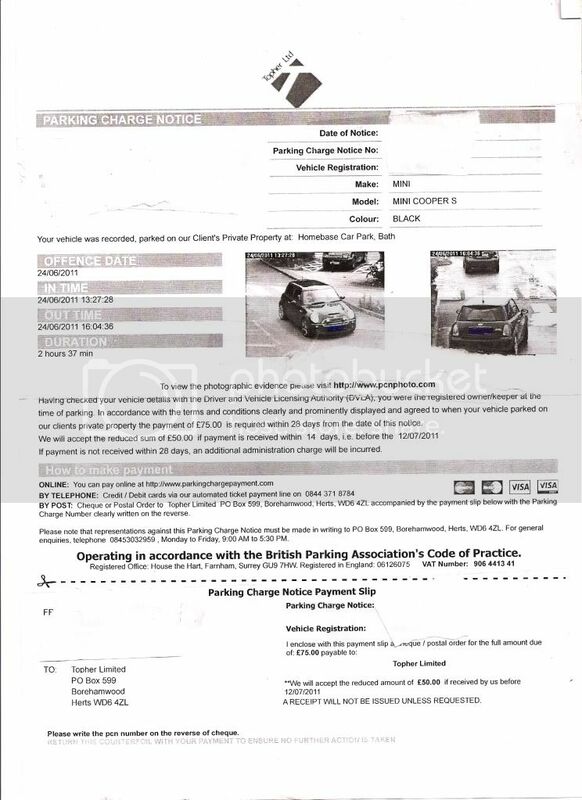 Bob received a Parking Charge Notice from Highview Parking at the Waterfields Retail Park in Watford. The Highview Parking PCN was issued through Automatic Number Plate Recognition and Bob received his notice to keeper a few days later. Bob appeals to Highview Parking explaining simply that the charge was “punitive” (and thus illegal). Highview Parking replied back “we are fully aware that this is a standard text, with no relation to any specific circumstances which might have represented valid mitigation against the issue of this charge” and dismissed his appeal. Bob then appealed to POPLA, expanding somewhat on his appeal, but still stating that the charge was punitive and not a genuine pre esitmate of loss. In Highview Parking’s response to POPLA that Bob had “followed advice circulated on the internet dedicated to undermining ours and POPLA’s appeal procedures, which encourage appellants to send derisory appeals to acquire a code, and then send more exhaustive, but equally generic appeals to POPLA. He has neglected to set out any genuine mitigation that have given Highview Parking cause to reconsider this charge, and has instead resorted to sending a generic objection that would apply equally to all charges that we issue if it was given any credence in this case“. Melissa received a parking charge notice reminder after parking in Tesco and spending £70. A few weeks later she received a £40 fine in the mail from Highview Parking. After she ignored the notice to keeper, the amount increased to £140. Melissa complained to the store manager at Tesco who said the charge in nothing to do with him, and that she would have to deal with Highview Parkin. Although if he said if she had of brought it straight in, he could have had it cancelled. Melissa thens sent a complaint to the Tesco CEO Philip.clarke@uk.tesco.com The CEO emailied back with an apology and told Melissa Tesco had contacted Highview Parking and told them to cancel the parking ticket. Pam recevied a notice to keeper from Highview Parking Ltd advising her she had overstayed her welcome at Tesco. She phoned the Tesco customer service line on 01382 227820. The help line person asked Pan if she had a Tesco clubcard and if she had used on the day in question. Pam did have a card and had used it at Tesco on the day in question. THe help line person then advised Pan that she would contact Highview Parking and have the charge cancelled. A Highview Parking sign from 2013. Note it stating the car park is for customers only, so you cannot leave the shops that the car park services. And here is a Highview Parking Charge Notice from 2013 - front and back. The address shown is also used by companies such as UKPC, CP Plus, Creative Car Park Management, Total Parking Solutions and Topher Ltd. And here is a more recent notice showing a new postal address of PO Box 3573 Barnet EN5 9QA. The notice sets out its rights under the Protection of Freedoms Act 2012 which asserts its right to claim keeper liability. Note that to properly enforce keeper liability, Highview Parking must meet certain conditions such as posting you a Notice to Keeper withing 14 days of your vehicle registration being recording on its ANPR system.